Check the answer with multiplication. 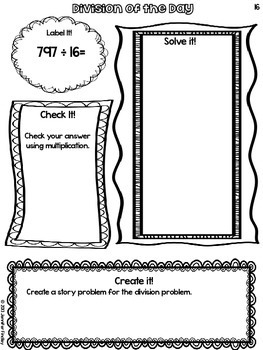 Create a story problem to match the division problem. 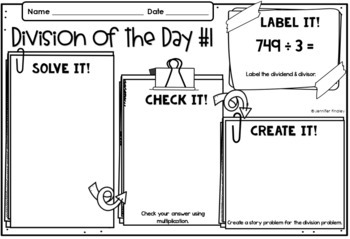 I created this resource to provide ongoing, much needed long division practice after the unit has been taught and during the unit on division. I have also included a blank template so you can extend the review past 30 days. 15 days for 1 Digit Divisors and 15 Days for 2 Digit Divisors. 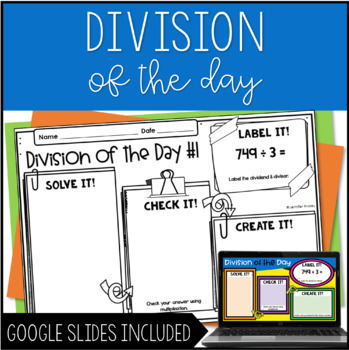 If you need more division resources, make sure you check out my resource, "The Complete Guide to Division for Upper Grades" found here: http://www.teacherspayteachers.com/Product/The-Complete-Guide-to-Division-for-Upper-Grades-Common-Core-Aligned-751125 or click here.